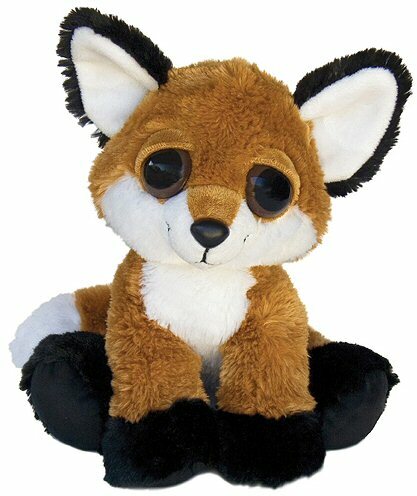 Feggan, this adorable Dreamy Eyes stuffed fox, is looking for her forever home. She thrives on fun and adventure as well as loads of cuddling and snuggling. 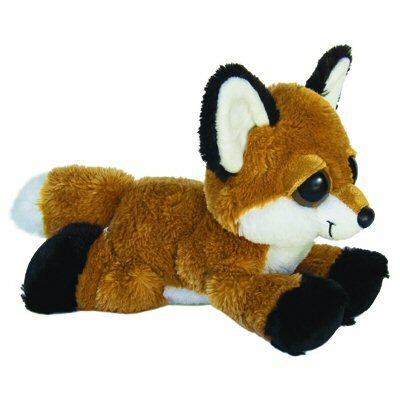 With a huggable understuffed body, this plush fox is perfect for nighttime, playtime, traveltime, or anytime. You'll love her soft light brown fur, white and black accents, and those beautiful big sleepy brown eyes. She's always ready with a smile and stuffed fox Feggan is just as comfortable flopping down on her tummy as she is sitting or standing. Looking for a lifelong friend, Feggan wonders if you would consider adopting her into your family. She doesn't eat much and promises not to bring mud into the house and dirty up the floors. Michigan, this Dreamy Eyes stuffed moose, has soft dark brown fur, soft chocolate antlers and hooves, and big sleepy brown eyes.